« Racquet Review: The Head Extreme Pro 2.0 Is Too Much Stick! Since the purchase of my HEAD Speed MP 315 (18×20) racquet a few years back, I’m an avowed HEAD fan. However, after recent hits with some other sticks in the HEAD family, my fan-dom has become a bit more qualified. Don’t get me wrong. I love what the extremely versatile Speed line has done for my game. But that doesn’t necessarily translate to equally positive experiences with the Extreme, Instinct, Prestige, or Radical lines. Two cases in point are my experiences with the two racquets in this review: the Extreme Pro 2.0 and the Instinct Mid Plus. 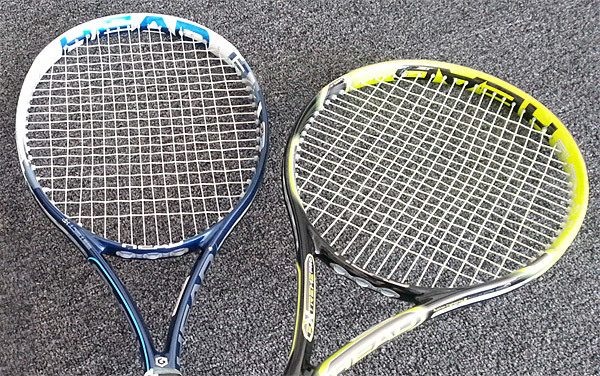 They’re both solid racquets, and are currently being used by some very good players on the WTA/ATP pro tours. Does this translate to a successful racquet of choice for the average club player? My answer is a qualified “Maybe”. Check out my thoughts on each and see if either might be the right racquet for your game.